Assumptions – Have We Had Help? Whether By Accident Or Design, Amazon Has Become A Literary Gatekeeper. Call me a pessimist if you must, but after over two decades of writing and publishing, I’m forced to the inevitable conclusion that despite self-publishing and print on demand still being the way to go these days, it is also the quickest way for your book(s) to rapidly disappear from the public’s attention, due to the sheer number of titles on Amazon since it became the major player in the self-publishing game. Unless you are extremely lucky, no matter how well written and edited it may be, no matter how spectacular the cover, or for that matter, the amount of time, effort and money spent on marketing it, within a few short days after launching your book on Amazon, its destined to join the slush pile of over five million others as more and more titles appear each day, nudging your work farther down the list. What is the alternative? Indeed is there one, given that these days even glowing reviews are no guarantee of keeping any book in the public eye for very long. First of all, don’t give up. Carry on writing. But don’t expect to be read by anyone other than your nearest and dearest if you decide to publish on Amazon in the accepted sense of the word. My anthology of Goblin Tales is a classic case in point. More people have read the tales since I began posting them here on my blog during the last few weeks in an attempt to keep them in the public eye, than have actually bought a copy for themselves from Amazon to read at their leisure, during the entire time the anthology has been available for purchase. This realisation, epiphany, call it what you will, gave me an idea. Why not try what Charles Dickens did back in eighteen thirty-six, even though, unlike him, I’m up against literally millions of other writers? The whole publishing ethos has changed so much in the last few years since self-publishing and print on demand became a reality. Everywhere you look there are people only to willing to creat covers, promote your book, review it, edit it, even format your manuscript, all for a fee of course. Therefore the cold hard reality is that they are the only ones who benefit in any way shape or form from the product of all of your hard work. Yes but it’s what you have to do to bring it to the attention of the reading public – right? That and hawking paperback and hard cover copies of it around all your local book fairs, conventions, book shops and libraries. I’ll tell you what I think the problem is. It’s a modern-day catch-22 situation. Don’t publish and no one will read it. Publish on Amazon, and still no one will read it because it is one of over five million titles. Ask yourself how many people you know who actually bother to look beyond the top one hundred recommended books these days? Practically none! That’s true, but when your book winds up in Amazon’s slush pile within a few days of it being released, no amount of money spent, or marketing will bring it to the attention of the jaded reading public, despite what the many pundits out there with a vested interest in making money from your book may say. Not too long ago before the sheer number of books in Amazon’s title list got totally ridiculous, the big five traditional publishing houses relied on one star reviews for any book appearing on Amazon to turn people off self-published titles. These days there is no longer any further need for this less than acceptable practice to continue, thanks to Amazon’s open door policy and its slush pile. Conventional publishing houses do not hoard titles like Amazon does. If a book isn’t selling, all unsold copies get pulped. As a self-published author you can’t even remove one of your own titles, because Amazon insists that it must stay on your Author page, just in case someone might want to return it years down the line. Highly unlikely I would have thought, wouldn’t you? Whether we as writer’s like it or not, if we don’t want our book(s) to be read, all we have to do now is self-publish on Amazon or Smashwords. To that end, both Derek Haines and myself are seriously contemplating the unimaginable – no more self-publishing of our books. I can’t speak for what Derek’s solution to the problem may be. Or even if we both change our minds, and simply carry on. But in the meantime I’m now seriously considering doing what Dickens did back in the nineteenth century when he serialized his first work – Pickwick Papers, to raise awareness of his writing. In my case taking a leaf out of Lucy Brazier’s book by publishing each chapter here on my blog. At least that way any further books by yours truly won’t get buried and forgotten about before anyone has had the chance to read them. Plus by adding the post(s) as I produce them to Twitter, Google+, Pinterest etc, and the many writer’s groups on Facebook, that’s a whole lot of potential readers (especially on Twitter) for each episode, always providing they feel inclined to actually read them and not just ‘like’ them. Even what I’m proposing is no guarantee that anyone will want to avail themselves of my books. But then again, doing nothing is not an option either. Are Book Reviews Really Necessary? To survive, books need reviews like you need to breath. 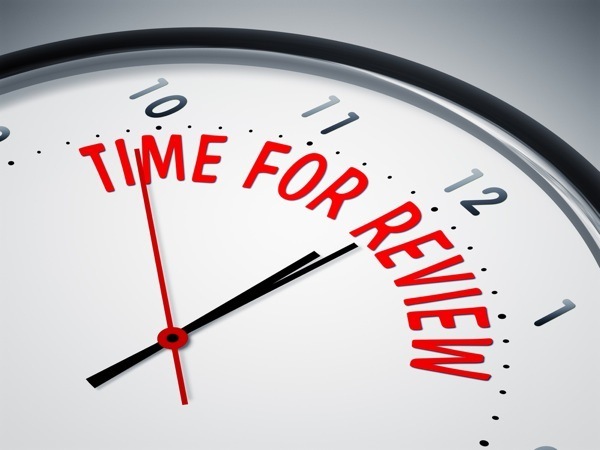 In their case reviews are necessary to bring them to the notice of potential readers out there. Without several reviews they will rapidly disappear into the slush pile along with the millions of unread books out there. One review, no matter how praiseworthy, is not enough to ensure a book’s future. But one negative review will soon attract others, ending a book’s chances of surviving!! Contrary to popular belief, it doesn’t make a scrap of difference how eyecatching a book’s cover may be. What helps readers to make up their mind about any book are its reviews. Without them books simply don’t generate curiosity among the millions of jaded readers. No prizes for guessing which of the above titles consistently sells and which don’t. Believe it or not if potential readers see nothing but five and four star reviews, they are immediately suspicious and won’t buy. As the old saying goes, “there’s nowt as queer as folk,” especially when it comes to buying a book. The other thing to remember is that these days, anyone with an axe to grind will automatically give any book a one star review, hoping to put off potential readers. To counter their attack, if you enjoyed it, review that book you’re reading as soon as you finished it. But before you do, take the time to think about what you are going to say. As much as you may be tempted at times, always leave objectionable reviews to those who are insanely jealous of the particular author’s success. Plus, don’t forget to tell your friends about the book and where they can get a copy of it if you enjoyed it. 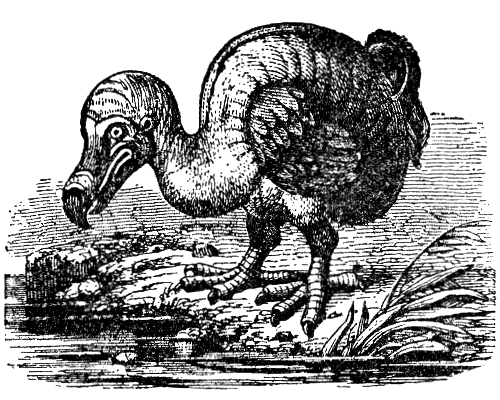 No not the Dodo – read on! When it comes to that book we as writers have spent many months working on, sooner or later we are all presented with the same conundrum. Will it sell, bearing in mind that this business is extremely fickle? Daily I see countless writers both new and old, endlessly talking/blogging about spending not only a considerable amount of time and effort, but also their hard earned money, on a book they wrote some time back that simply isn’t selling, in the vain hope that what they’re doing will increase it’s chances in today’s saturated market. I’ve said it before and I’ll keep on saying it until the day I die. If your book doesn’t work, no amount of spending money on changing its cover or having it properly edited, together with purchasing a number of copies of the new version from your publisher to give away in a book store or writer’s convention in the vain hope of promoting it to an already jaded public, will make one iota of difference in the end. What you are doing is flogging a dead horse! Despite what so many still foolishly believe, the fact that you have availed yourself of the services of an editor and maybe even a publicist, or perhaps you have spent money having it’s cover, hook and link added to one of the countless number of book advertising web pages who demand payment for your doing so, spending your own money before the first sale has even taken place. Or maybe you even shelled out yet more money by employing a professional reviewer to help kickstart your book’s chances. Even then, using all of these options still doesn’t guarantee sales. 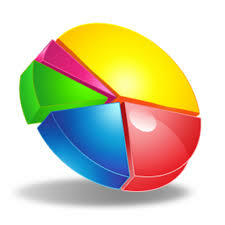 No marketing strategy ever does, no matter how professional it may appear to be to the average man or woman. There is no magic formula for literary success. In the end, the only thing that does matter when it comes to sales, is whether or not the story in question actually appeals. It’s immaterial that you and your immediate family circle and close friends loved it. After all, you and they are too close to it to be objective. So, what might the discerning reader be looking for? I can’t speak for others, but when I am perusing the millions of books currently available, first of all I narrow down my search to the genre that has appealed to me my entire life – science fiction. Next, I totally ignore the often gawdy covers, if I want to look at pictures I’ll go to an art gallery, thank you very much!! Instead I read each book’s hook. If what I’m reading intrigues me, bearing in mind that as a successful science fiction writer, I am extremely hard to please these days, then and only then will I read the first few pages. If I feel that the story appears to show promise, I’ll buy a copy. If not, I move on to the next one. Oh, and before you ask – no I don’t take any notice of a particular book’s reviews, no matter whether they are good, bad or indifferent. Unlike the vast majority, aka ‘The Great Unwashed’, I prefer to make up my own mind. The other thing to remember is that having enjoyed reading a specific work, when I see another by the same author, I will always seriously consider it. What do I mean when I say does a book appeal? There is nothing mysterious or complicated about it. If a story has been carefully thought out. If it gradually builds towards a climax, with the odd red herring thrown in for good measure. If the characters and their relationships with one another are believable. Then and only then do I consider that any given book appeals/works. There are a few other things to remember. In this business, to succeed you have to gain a reputation as a storyteller – not an easy thing to achieve. To do that first you have to have written several books, preferably honing your skills with each one. Normally your first few won’t do it for you. Secondly, you will find that even though your book or books are beginning to be read as a result of those free giveaway promotions, (more often than not by tightwads looking for a free copy) there is no guarantee that you’re book(s) will actually sell in their thousands, meaning that you will earn serious royalties. Even if they do sell, the chances of more than a dozen copies per year is slight, no matter how much time, effort and money you may have put in to promoting them. Only one of mine ever became a best seller. Because of it, I earned that elusive epithet we all seek – consumate storyteller. Never once have I pinned my hopes on whether or not any of my covers appeal. What ultimately matters is what’s contained within any given book’s pages, and whether or not the story actually works. Remember, in this game you are only as good as your last book. Having said that, I continue to enjoy regular monthly royalty payments from my publisher as all of my others continue to be bought and read, thanks to that one best seller. This is a long post aimed at all current writers and those waiting in the wings, so please bear with me. A couple of days ago while perusing the latest posts on Facebook, I came across one that my friend and fellow writer, Stuart Aken, had found on a question and answer site called Quora (Google it if you want to find it’s location). Along with a couple of others in the game, Stuart and I added our comments to a query put forth by someone, on the subject of which qualifications were needed to be able to become a writer and to break into the publishing world – Click here to read it. Together with Stuart’s initial comment on Quora, the ones John Yeoman, Karen Wolfe Whitchurch and myself added on Facebook, hopefully helped to back up Stuart’s views, and to quash the ridiculous notion once and for all. Yes, you can go to the expense time and trouble to gain as many literary qualifications as there are stars in the night sky. But no amount of academic study will somehow infer that you are a writer. All any formal course related to the English language will inevitably tend to do, is to kill off any talent you may have thought you had, rendering gaining any qualification so-called, counterproductive. In other words, as a potential writer you are completely wasting your time chasing any form of formal qualification. In fact even considering gaining any on offer under the headings of English Literature, or Creative Writing is guaranteed to be a monumental waste of your time. Why? Because all participating in any course designed to gain these academic qualifications ever does, is to burn the personal views and opinions of your teachers and lecturers into your subconcious, which all published authors, myself included, would argue renders you incapable of original thought, the absolutely fundamental requirement for any writer! And yet so many newcomers to our calling still fervently persist in clinging to the absolute myth perpetrated by those within the industry, who quiet frankly should know better, such as literary agents, editors, publishers and professional reviewers, that you need to be formally qualified, hoping that by doing so the vast majority of newcomers will be disuaded from ever writing anything other than their own names, now and in the future. Yes I’ll grant you there are two notable exceptions to the rule. The difference being that both of them were brilliant academics in their own right, long before beginning to write. I refer of course to two of my literary hero’s – J.R.R Tolkien and his friend and colleague C.S Lewis. But without a natural bent for storytelling, no one beyond the academic world would ever have read anything written by either of them, other than their academic papers. Remember this – Storytellers aren’t manufactured, they’re born!!! So let’s hear no more nonsense about which recognised qualification you need! The only way to nurture your natural talent for storytelling, always providing you have one in the first place, is to first of all become widely read. In other words read anything and everything. Peferably books not tweets! Secondly, don’t believe for one minute that you need the help of any form of so-called professional editing service. If you are any damned good, you don’t! The other point to remember about employing any editor, is that unless you are extremely vigilant your work will become coloured or contaminated by them. In other words the story is no longer solely your own. Instead it ends up being co-written by both you and them – something to think about! Some of the more unscrupulous among their number see absolutely nothing wrong in adding their names to your book as co-authors. I tell you this from bitter personal experience. It was done to me years ago with my very first published work, before I finally saw the light and rapidly left the murky world of traditional publishing to become an Indie. All any of us really ever needs, apart from the courage of our convictions, is a team of reliable beta readers to take a look at our latest MS and tell us whether or not it works. How? By pointing out things that you have missed or perhaps glossed over, as well as the inevitable spelling, grammar and punctuation errors. I’ll spell it out for you one last time if it still hasn’t sunk in quite yet – you have to be born with a natural bent for storytelling to become a writer. Turning your latest tale into a work worthy of publishing comes much, much later via nothing more or less than sheer bloody hardwork on your part in the form of endless re-writes – aka polishing. I suppose what I’m really saying here is that in the end, to be a successful published writer means quite literally that its all down to you and you alone. So in the meantime get busy reading every book you can lay your hands on, before you even begin to contemplate writing that future best seller. Why? Think back to when you were a child. Before you mastered walking, first you had to learn to crawl – right? For what it’s worth, as a successful publisher writer, I’ll always tell you to go for it. Even though many online book sites like Amazon are currently choked with literally hundreds of thousands of badly written new titles by wannabes, making it practically impossible for anything we write to stand out from the crowd. Just remember this – unless you possess a God given natural talent for storytelling, writing ain’t easy by any stretch of the imagination! Instead it involves a hell of a lot of hard work often for very little gain, except for the personal satisfaction of having written an absolute belter of a yarn. As sure as eggs is eggs, while we all slowly gain a reputation for storytelling with each title we put out, the newcomer won’t gain one first time out! So for now just take my advice – keep your head down and write, write, write and write some more. Oh, one other thing for those among you who think that writing will ensure overnight fame and riches, bear in mind that 99.999% of all writer’s annual earnings from royalties fall well below the poverty line. Lastly, the world is full of wannabes who think that by rubbing shoulders with those of us who actually are successful, that they will somehow become writers themselves by osmosis. 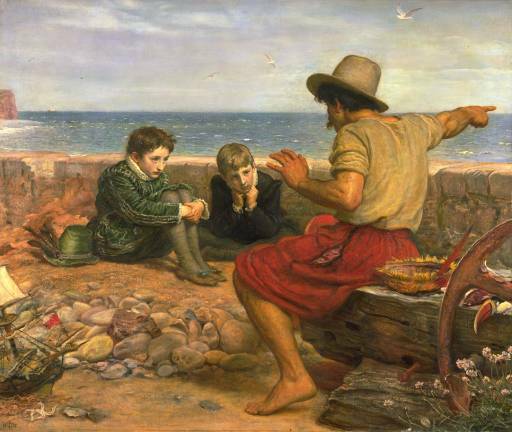 Just take note of the number of unpublished wannabies who currently inhabit the various social media sites, labouring under the misconception that by adding the word ‘Author’ to their name, it will somehow elevate them within the literary world, without partaking in all of the hard work being a writer entails. It won’t! Like everything else we do, it takes a lot of dedication and self-sacrifice on our part to gain a worthwhile reputation. Insisting on adding the word ‘Author’ to your name impresses no one. If anything it has the opposite effect! Think about it for a moment, it wasn’t the brightest move you ever made was it. Genuine published writers don’t do it. Neither should you. Could there be four less inoffensive words than those anywhere in the English language. And yet when big business and government combine them in that form, my anti BS system automatically switches on. 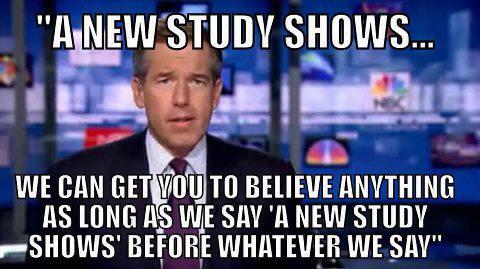 I’ve read, listened to and watched anything beginning with the words A New Study Shows, for well over five decades now. I hate to tell you this, but ninety-nine, point nine, nine, nine percent of these ‘studies’ are complete hocum. Take food stuffs as a classic example of this kind of manouvering of the general public. Whenever there is a glut of a particular product we’re always told that it is good for us. When there is a paucity, the opposite applies. Have you ever wondered why? Studies show, thats why. You can make a study show anything you want, in this case a glut of a product that needs shifting, or a scarcity, in which case all of a sudden ‘studies’ show its bad for you. What gets me is just how many people actually swallow the total BS in these ‘studies’, convinced that what they’re being told is fact! Just because an actor in a white coat or someone you have never heard of, purporting to be an expert on the subject, uses what sounds like a plausible argument to convince you, doesn’t make it fact? Just think back to the days before unpasteurized milk. I’m talking about when I was a child in the forties and fifties. Before she skimmed off the rich top layer of cream, my mother always ensured I got to drink at least one glass of fresh warm creamy milk each day when my father returned from the milking shed with a bucket filled to the brim. She made the best butter and cheese anyone could ever taste from that milk. Once pasteurization became the norm, it ensured that the natural bacteria in milk that is beneficial to all of us was killed off. All kinds of scare tactics were adopted to steer us away from everything made from the wholesome natural product by ‘studies’ which showed that rendering milk inert was good for you. Rubbish! All pasteurization ever did was let greedy businessmen get away with selling us a pale imitation of the real thing to make a hefty profit. Years ago in the nineteen-eighties when Bovine Spongiform Encephalopathy, or Mad Cow Disease, struck the dairy herds in this country, the sales of beef products plummeted largely thanks to those interminable ‘studies’. All kinds of scare tactics were employed under the banner A New Study Shows to get people to refrain from eating anything beef based. The fact that the farmers themselves were entirely to blame for the outbreak, by feeding their cattle on the remains of other cattle, in the form of meat and bone meal (MBM), no doubt convinced by yet another of those damnable ‘studies’ that it was cheaper and therefore far better than feeding them grass or oats, was never made public at the outbreak of the epidemic. The same applies to medicines. If a government decides the price asked by the manufacturers of any new medicinal breakthrough is too expensive, no matter that it will save lives, we’re steered away from questioning their penny pinching decision by yet another of those darned ‘studies’. I could give you many other examples, but I won’t. What’s the point when so many of you assume that when confronted with what looks like an official study, foolishly you believe everything you are told by government and big business. PS – Sorry folks I can’t help being a skeptic, I’ve always questioned everything when it purports to be scientifically proven, especially when it comes to those damned ‘studies’. There is always a very real danger when producing anything related to a specific subject, in particular when presenting facts, that unless you offer a true representation of the said subject you are offering an opinion on, as in the blog post linked below, which states that only a few genres are doing well with one reader group – children, that you will be seen at best to have offered an incomplete view. While it is clearly headed ‘Books sold by genre, or why you should write children’s books’, it can never be considered to be a true representation of all book genres’ sales to children when so few genres are included. In this particular case I suspect that the author of the post has either created, or imported, Pie Charts to suit their purpose. At the time of reading it, I left a comment on both Chris’ site and TWG’s – “Why isn’t Science Fiction featured?” So far TWG have failed to respond to my pertinent question. In Chris’ case all he could say was that he had merely reblogged their post. Like me, he had no clue why sci-fi did not appear in the breakdown of books for children. To TWG, I merely say this – be fair. Don’t think I am making a mountain out of a Mole hill, far from it. Nor am I suggesting for one minute that you are wrong. But like most sci-fi writers, all I want is an honest reason why you decided to leave out our genre, let alone infer that today’s kids don’t like reading sci-fi based stories, when you and I both know that isn’t the case. Thanks to popular science fiction television series like Dr Who, sales of sci-fi specifically written for children is doing fine thank you very much. You would have known that TWG, if you had bothered to do your homework. One other thing for anyone contemplating producing a post like the aforementioned, purporting to show the ‘facts’, make sure that you are doing just that, not merely using certain facts to support your argument.